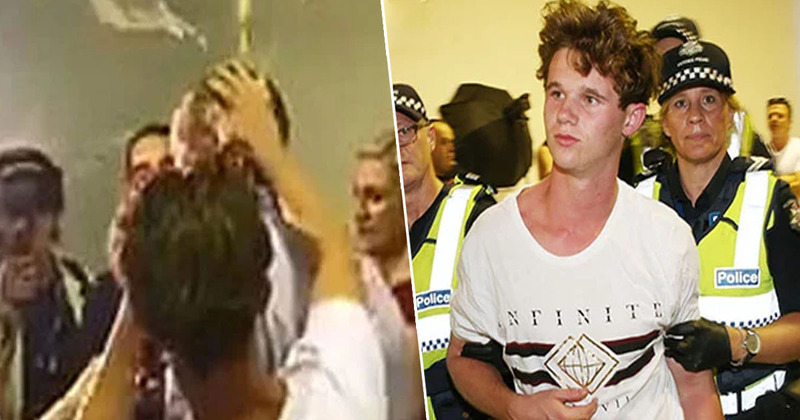 Egg Boy has been interviewed and released by police without charge, after cracking an egg over the racist head of Senator Fraser Anning. The 17-year-old, whose name is Will Connolly, has been embraced by observers globally for his decisive action against the Queensland senator. In case you missed it, the senator – who only got 19 votes and won his seat by default – blamed the white nationalist terror attack on the very Muslims who were targeted on Friday (March 15) while they worshipped at two mosques in Christchurch. Worse, he’s sticking to it and his mission to use the deaths of innocent civilians to push his horribly anti-immigration agenda. The real cause of the bloodshed on New Zealand streets today is the immigration programme which allowed Muslim fanatics to migrate to New Zealand in the first place. So, the next day, the 17-year-old from Victoria decided to egg Anning as he attended a Conservative National Party Meeting in Melbourne. As you can see in the video clip, Connolly got a thump to the face from Anning, and worldwide support which manifested in a mural, offers of free gig tickets, and a GoFundMe page set up following the incident in order to cover the teenager’s legal fees. Amazingly, he has pledged to donate all the money raised – totalling $60,000 at last count – to the victims’ families. Just as well then, after he was tackled to the ground and arrested, the teen has been interviewed and released by police without charge pending further investigation. Victoria Police have given Connolly’s lawyer, Peter Gordon, ‘no indication’ of plans to lay charges against the young man, reports Perth Now. But obviously police have got a job to do. To use Will’s own words, the police have been awesome. Gordon also confirmed his client would not pursue legal action against the Senator or his supporters who put him in a headlock. Connolly, who has since been immortalised in artworks across the nation, has shared a video online urging other people against following in his footsteps. Meanwhile, the Australian Greens have said they will try to suspend Senator Anning from parliament until the election and a petition has been started to remove him from power.